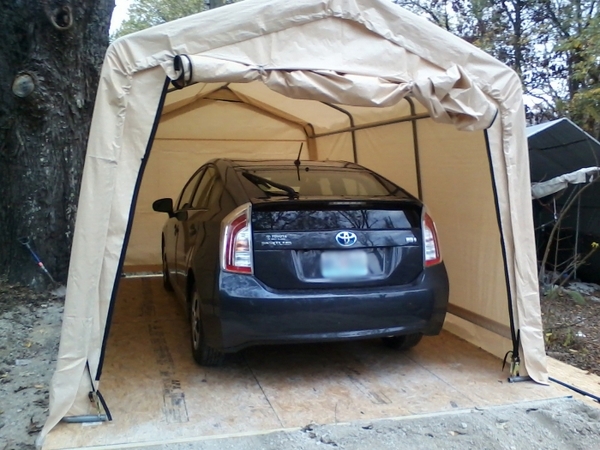 Portable garages can be put up anywhere you want, any time you want and, in most cases; you will not even need a permit. 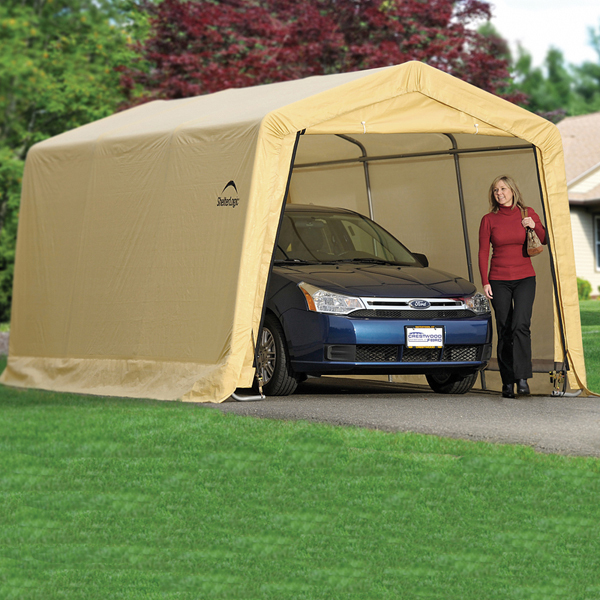 If you have vehicles, boats, equipment or other outdoor supplies, this shelter is ideal. 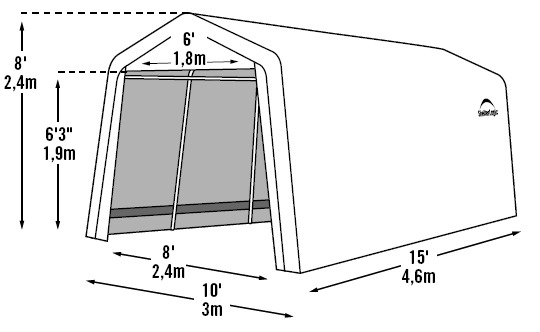 It is called the Shelter Logic Auto Shelter. 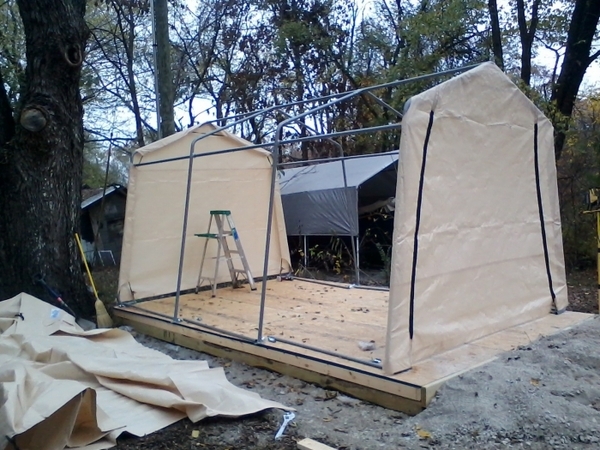 It is a portable garage with a steel frame. This frame has a baked on powder coating so it will not rust or corrode. The tubular steel is 1 3/8 inches in diameter. 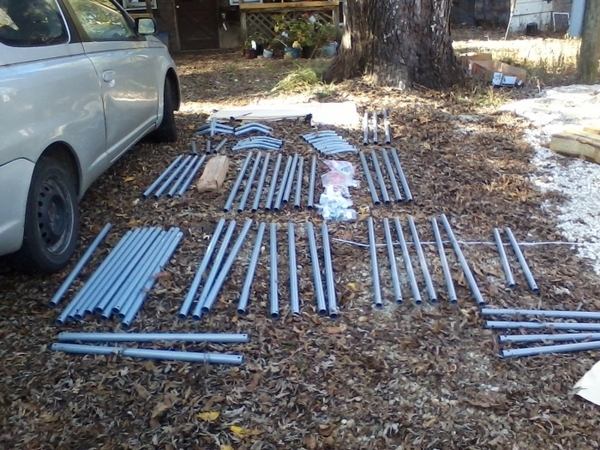 How would I anchor to a concrete pad? Does this need to be anchored into the ground? This item does need to be anchored to ensure stability. The item is provided with four (4) 15" auger anchors, four (4) steel foot plates, and eight (8) Ratchet Tite ratchets to anchor your unit in dirt or soil. Better than expected. I love it. Kit was complete and instructions were easy to follow. Can be put up by one person but a second person would help. Quality was higher than expected at this low price. This Is just what I needed..
ProsEase of assembly when reading the instructions. Sturdiness, functionality, and overall size. ConsTrying to place the plastic caps on the ends of the poles, and need marking points at the bottom of each corner leg, to measure proper width apart, and proper cross measurements to insure that the placement is correct before anchoring..
Glad to have it. We haven't found out how it will do in Utah weather yet.